After three weeks of testing the Avène Tolérance Extrême range – where am I? Did I keep using all the products? Which did I love and which didn’t I love quite so much? If you’ve missed why I have been trialling these products, first check out the article here, explaining the ethos behind this new skincare range. Out of the two Cleansing Lotions, I have to stand behind the new version – launching in January – featuring the 7 Ingredients. Why? Although the original is nice, it is formulated with a base of mineral oil which just doesn’t sit well on my skin. It doesn’t feel as cleansed as it could be and even a little greasy. The new Tolérance Extrême Cleansing Lotion doesn’t have this mineral oil. Instead it uses caprylic triglycerides as a more breathable and softer emollient base. Although I still use my foaming cleanser for regular cleansing, on the occasions I wear any cover or correctors (fine…makeup!) 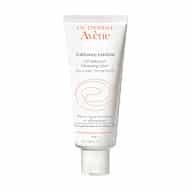 which can easily irritate my skin, the Tolérance Extrême Cleansing Lotion removes the whole lot without a trace and requires no rinsing. It’s also great for use on the eyes! On from cleansing, to masking and the Tolérance Extrême Mask. If you’re prone to flare-ups of sensitive skin, this may not only be uncomfortable but can leave you dry and dehydrated. 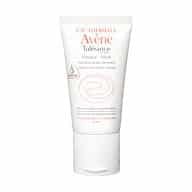 The Tolérance Extrême Mask contains a similar base to the lotion: Avène Thermal Spring Water; glycerin; and caprylic triglyceride. It also has shea butter and safflower oil (an oil with proven anti-inflammatory and antioxidant properties). The mask, which can be left on as long as needed either as a wipe of or sleep mask (it sinks in quite a bit) replenishes moisture without congesting the skin and really helps calm everything down. This has been a great product for post-exfoliation, particularly as I like to use quite abrasive chemical and manual exfoliation to target pore congestion and emerging fine lines. Finally, on to the moisturisers. I’m quite lucky having an oily T-Zone and dry cheeks as this means I’ve been able to try both the moisturisers together. The Emulsion is probably my favourite. It swaps the shea butter and safflower oil with squaline, a humectant that fills out intercellular space to plump and deliver moisture where it’s needed. For those of us with more oily skin, this is calming and reduces shine. Remember – being oily and sensitive are not mutually exclusive! The Cream is great for those with dry skin or at least drier areas (like my cheeks). It delivers the same ingredients as the mask in different quantities and ratios. It nourishes, hydrates, moisturises and protects surface skin cells. The cream is rich but it it sinks in without any problem and doesn’t leave any surface residue like many cheaper alternatives do. Most importantly – it’s soothing! Three weeks in, what have I enjoyed the most? The mask and emulsion. These are products I’ll definitely stick to for a long time. I still enjoyed the other products but my skin is not so sensitive that it needs the very wide level of care that this range provides. The mask is such an easy product to use. There are no special application methods, no brushes, no leaving it on or waiting for it to harden. Just “slap on and go”. When I’m short on time (all the time) it gives very quick and high impact results. The emulsion is great as the weather starts to change. As my skin heads into winter-mode it becomes much more dehydrated and goes a bit ‘flarey-uppy’ and insane. What didn’t I like about the Tolérance Extrême products? The reason I didn’t like some of the products as much will be the reason many of you with sensitive skin will love them! They didn’t provide me with sufficient active ingredients to deal with my various skin concerns such as anti-wrinkle, anti-blemish and anti-enlarged pores. I guess that’s the point – the products are simple and calming. As a collection on its own, this isn’t completely for me. However, the products excelled alongside some of my other favourite skincare treatments, including the Avène Cleanance Expert which I’m now addicted to for my blemish-prone skin. 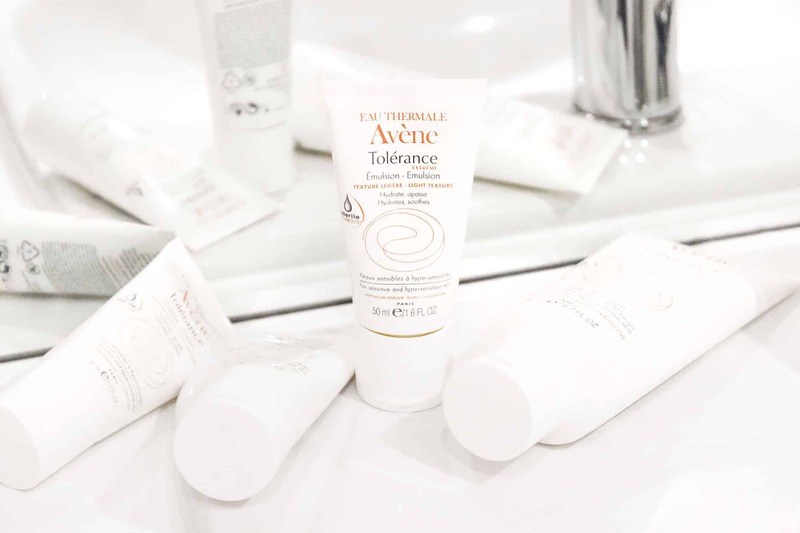 If you have very sensitive skin and have looked for something to calm down irritated and misbehaving skin, Tolérance Extrême is your ticket. If you have a whole host of concerns and sensitivity is just one of them, Tolérance Extrême should always be on hand. Try seeing where you could integrate it into your existing regime. On the whole, a winner! This article first appeared on MANFACE written by Thom Watson. It was published on Wednesday 28th September 2016 and was last updated on Monday 3rd April 2017 at 12:41pm. It's categorised under Sponsored where you'll find more related content.